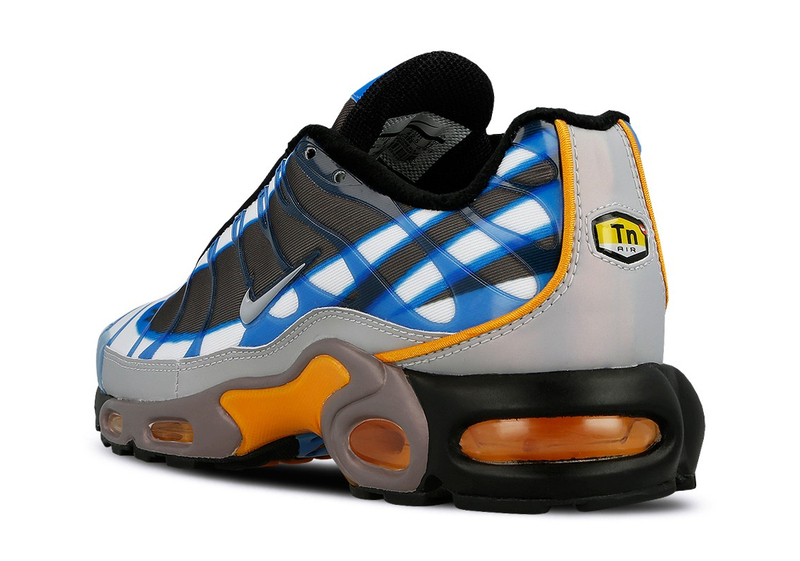 Nike’s Air Max Plus and Air Max Deluxe are two long-time favorites of Air Max fans, beloved for their instantly recognizable aesthetic and significant cultural impact alike. Now, the two ’90s classics are being brought together in earnest, thanks to a clever fusion of aesthetics from the Swoosh Brand. 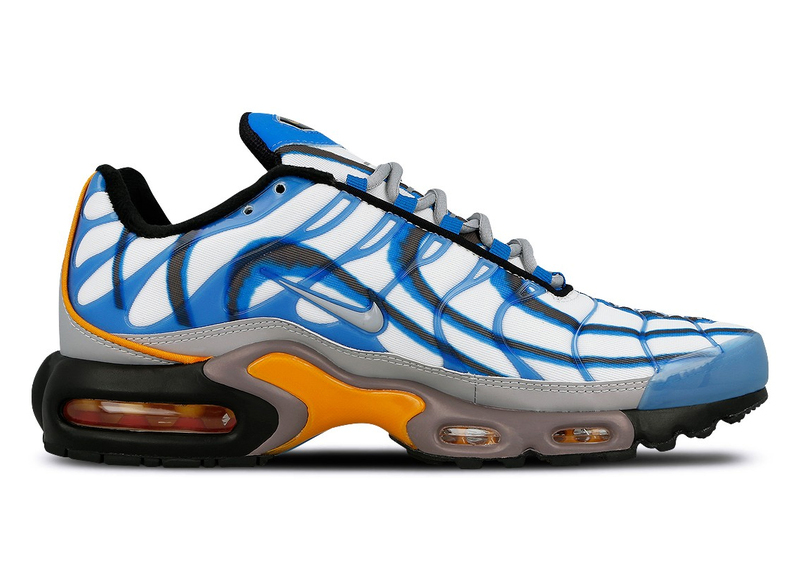 An Air Max Plus done up with an Air Max Deluxe-styled graphic is set to release — and it’s sure to make the corners of even the most hardened roadman’s mouth turn up in a slight smile. 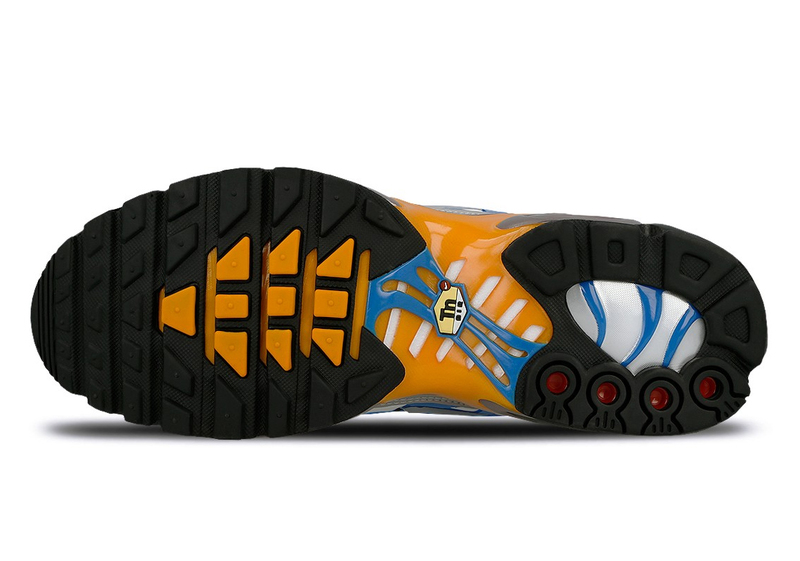 The Deluxe’s soundwave-inspired blue, black, and white pattern coats the entire upper, while a grey mudguard and orange trim provide accents. The midsole features a sizeable dollop of Deluxe inspiration as well, calling upon a bright orange for the Air Max cushioning units and plastic midfoot shank, while an embellished outsole then completes the look. Grab a detailed look below, and look for these double-homage Deluxe-styled Pluses to release February 9th at the retailers listed below. 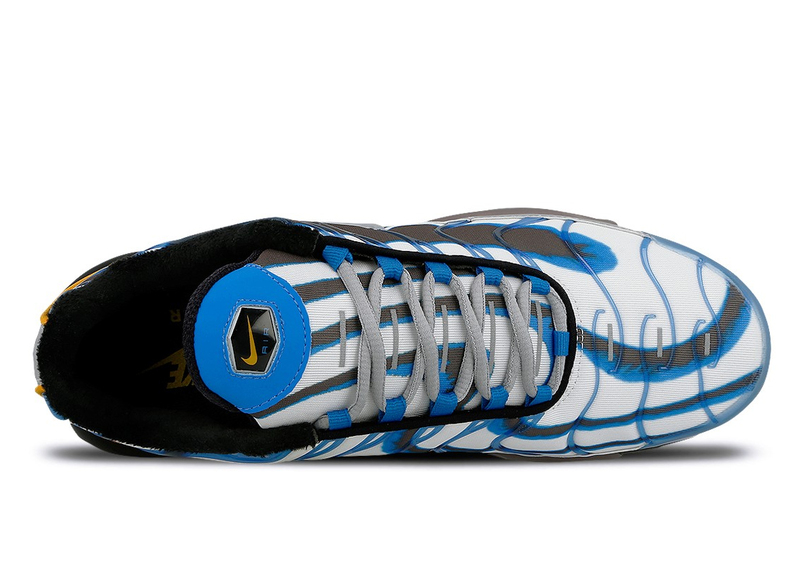 The post Nike Adds The Deluxe Graphic To The Air Max Plus appeared first on Sneaker News.